It is vital that exercise be part of your daily routine if you are going through cancer treatment. You may not feel like doing anything – fatigue is often the issue – but you will feel better and have more energy rather than less if you make the effort. Simple walking, fresh air, and being in nature are all inexpensive ways to get your daily exercise. Swinging those arms is great exercise for lymphedema as well as the fact that is helps reduce the risk of getting lymphedema. However, cold weather experienced by those who live in northern climates often makes being outside not an option. What options are there then? Go for walk inside in a shopping mall. Find a friend to go with – helps with motivation, plus you can stop and enjoy a coffee or whatever afterwards. 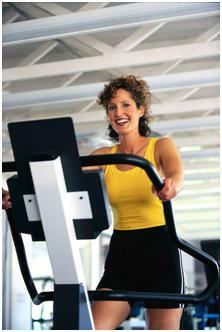 Head to the YWCA or leisure center and use their exercise equipment (i.e. treadmill, bike, etc.) or use at-home exercise equipment if you have one. Exercise along with a DVD. There are many choices (Yoga, Tai Chi, Aerobics). Find one that works for you. Go for a swim at an indoor pool and dream of summer days. 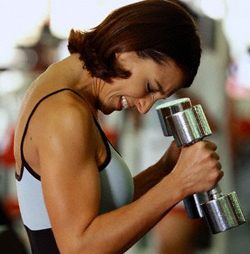 Exercise has been proven by research to not only be beneficial while you are going through cancer treatment. Exercise is also beneficial in reducing the risk of getting cancer in the first place. Besides, being healthy and fit makes life just that much more enjoyable. You will have more energy, feel better about how look, and work off stress. It’s a win-win. Moving meditation is often how tai chi is described. For those who have problems sitting still, tai chi is a wonderful option for meditation. It focuses the mind using the body as a breathing organism, moving chi through the pathways of mind, body and spirit. 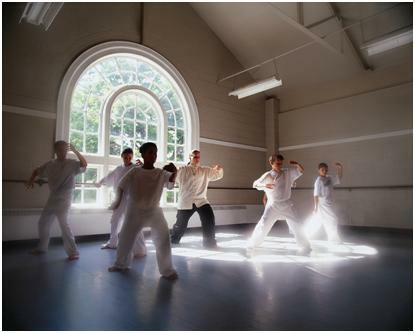 Tai chi can be done anywhere – inside, outside, while travelling, at home, with a group. Creating a time for daily practise reaps huge benefits, especially at a time such as cancer when stress is high. Streaming energy (chi) through the body helps combat the fatigue and depression often associate with cancer treatment. Due to the flowing and gentle nature of tai chi, it is also a wonderful exercise for lymphedema – both as risk reduction and management. Lymphedema is often a side effect of cancer treatment, especially for breast cancer patients. Lymphedema can also occur in lower extremeties due to prostate, colon, etc. surgeries and treatment. Slow, graceful moves, fluid and contemplative, stretching body, mind and spirit – that’s tai chi. I recall it well. Before I was diagnosed with cancer, I had been taking Tai Chi classes. We were a wonderful group of individuals, learning together and sharing our stories during our tea break. It was exercise, learning and social all at the same time. 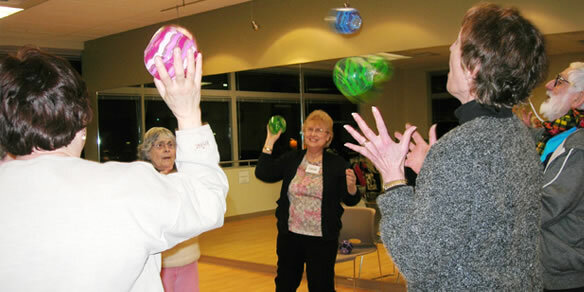 As I like to move, tai chi became my moving mediation during cancer treatment. The slow movements helped my body open up, develop strength and flexibility, but more importantly tai chi quieted my mind and helped me find my inner place for healing. The movements also became preventive exercise for lymphedema as I could feel the lymph moving, especially after radiation. If you are not fortunate to have a group in your area, consider a DVD to follow and learn the moves at home. Also excellent for practising at home between classes. Lymphedema is a medical condition often caused by the removal of lymph nodes during a cancer surgery. For breast cancer survivors, this condition may occur in the arm and can cause swelling due to the reduction in lymphatic flow, which backs up the lymphatic fluid when under pressure. While permanent solutions for the pain or discomfort caused by Lymphedema do not exist, there are ways to cope and helpful products that provide some relief on a day-to-day basis. To manage the swelling of Arm Lymphedema, patients may purchase a ready-to-wear armsleeve, or preferably a prescribed sleeve from a qualified lymphedema therapist. The sleeve provides compression to the swelling and is also a valuable when traveling by plane, as high altitudes can cause swelling to worsen. There are exercises you can do from home to help reduce swelling and a special massage, called a manual lymph drainage massage, which manually moves the fluid from where it has settled. Research your options – there are many – because no one deserves to suffer. I keep hearing this and it makes me upset. The issue of not knowing that moving your arm and shoulder – doing the exercises – as soon as the drain is out reduces the risk of getting lymphedema as well as frozen shoulder. Most hospitals will advise you of exercise for lymphedema but some do not or the message is not heard when you are still in shock. Walking up the wall – standing facing the wall, walk your fingers up the wall and extend the arm as far as you can without pain. Arm circles – you can do these both standing and leaning over. These arm circles help the flow of lymph fluid and keep the shoulder flexible. Head tilts – a) chin to chest and up to upright; b) tilt ear to shoulder, and c) head roll – make a smile on your chest with your chin making sure not to take the head back. These movements open up the lymph system to drain the lymph fluid. These are just a few of the exercises, but they are so important to do daily. Look for exercise classes in your area that understand lymphedema and the issues around breast cancer. The Healthy-Steps™ program (formerly known as The Lebed Method) is excellent if there is one in your area. 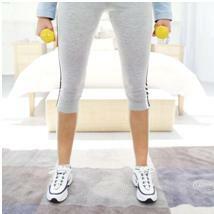 There have been many studies on the benefits of exercise for lymphdema and cancer rehabilitation. Exercise get the heart rate up and in doing so, it moves oxygen into the body. Cancer does not thrive in oxygen. Flexibility is important, especially after cancer surgeries. Gentle movements minimize the build up of scar tissue, decrease the risk of frozen shoulder (i.e. breast cancer), and reduce the risk of lymphedema (both upper and lower extremities) by improving the flow of lymph fluid. Plus, exercise to music and being part of a group is fun. There can be lots of laughter at a time when life is threatening. Additional benefits are improved self-esteem, conditioning, and more energy. There is everything to gain and nothing to lose by participating. Can Exercise Reduce Your Risk of Cancer? Research is now indicating that exercise can reduce your risk of cancer. With the advent of TV, computers, and a more sedentary lifestyle, getting exercise has become a planned activity. Gone are the days when physical activity was a part of daily life. So, how does one get active again? Here are some easy ways to get started. Walk – get out the door and walk around your block. Find a park and enjoy the trails. Start with 10 minutes at a reasonable pace. Build up until you can walk 30 minutes, then one hour. 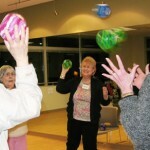 Dance – go dancing – find a club or ballroom class or join a dance exercise class at a local community hall. Or just turn on the music and dance at home. Try it with your kids. Cycle – get a bike and instead of taking the car to the store, ride your bike. Find a partner or group of friends and go for a bike hike. Buddy Up – it is easier to stick to a program with a buddy. On the days when you don’t feel motivated, a partner will get you going. Plus, it’s more fun. Start your exercise program today. For those who have had cancer surgery, especially breast cancer, one of the side effects is lymphedema. There is exercise for lymphedema that will reduce the risk – and the movements will be safe and fun for all individuals because they are designed from a safety and therapeutic perspective.